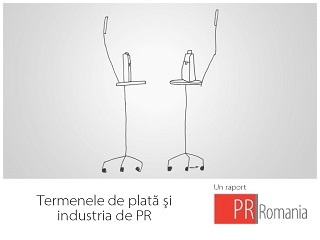 PR Romania - Brian Solis: This is Your Moment to Make Public Relations Count! Back Eşti aici:Home English Brian Solis: This is Your Moment to Make Public Relations Count! For the first time in Romania, Brian Solis, the author of "Engage" and principal of FutureWorks, was interviewed by PR Romania. Below, he talks about how social media has changed the way we perceive privacy, how PR professionals integrate social media in their campaigns in Eastern European countries, and about the future of Public Relations. In an interview, you said that we are the last generation who has the chance to know privacy as it used to be. How do you think privacy will look like in the future and which would be the borders between privacy and social/public life? But what works against you can also work for you. I believe education is necessary to help individuals understand that there are important benefits for social network. But we have to understand that privacy is something that we own. There should be things that we do share with the general public, and other things that are part of our intern world. You’ve said that we need education to know how privacy will look like. Do you think we need education in school for that? I hope it’s something that starts in school, but actually it’s something that should start home. That is why even parents or grandparents, or also other authoritarian figures need to learn. We all need to teach and we all need to learn. That is why it is such an interesting time in the history, that even those we were looking for answers, they do not hold the answers. Education needs to take place online, at home, and in schools. You are talking about the 5th “P” (beyond product, price, place and promotion): people. 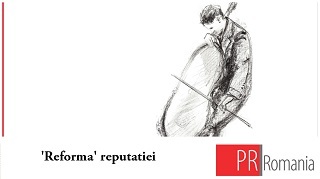 Why does the 5th P appear just now, in the online era, and how does it change the way we perceive public relations? It’s interesting and it reflects the idea that people deserve its place on the stage. I hear notable people claim that the 5th P has always been around and that we have always tried to reach, to target people. In reality, it is people who are defining their experiences in the social networks. And it is people who are basically saying whom they want to connect and why, and who has the ability to earn their attention. People have common topics, themes, interests, so that starts to set who your audience is and what they want specifically. That really transforms marketing communication, as well as business in general, because you don’t have press releases for one audience or one campaign to one audience, but you have series of messages and stories that connect to people at a more personal level, in very particular locations. That forces organizations to expand their stories and our value proposition towards these individuals to whom they are communicating. Have you noticed any difference on the way PR practitioners use social media in Eastern Europe and the way they use them in the Western part of the world? Not specifically to public relations. But to marketing, I have noticed a very traditional approach. There are similarities in Eastern and Western countries in the sense that even the biggest companies are using social media much in the same way they are using traditional media: very top-down and very campaign oriented. Then, they vanish and they reappear for the next campaign. But what I also have noticed in terms of differences is the tendency to realize that there is the ability to socialize the business completely. And I see more discussions about socializing the business in the USA than I see around the world. However, I would say this: We are all in this together! I spend a lot of time in other countries, not just in the USA, because I believe that what social media is doing is starting to create this idea of one global society of interconnected relationships. Talking about multinational companies, how do you think social media should be used successfully in communicating cross-culturally? A lot of that depends of the extent of the research. Because what you learn in that process is that anything you thought about social media is usually wrong. A lot of companies will react to social media, will create a presence on Twitter, Facebook, or Youtube. They will start a blog, and then they will be absolutely disappointed with the results. Usually they are disappointed because they are used to see such different numbers in other medium. For example, circulation, reach, audiences –these are numbers that are much different. What social media do is that they connect you very directly to people interested or potentially interested in your story. It is different philosophically, culturally, and it is different from a process point of view as well. And this is why social theory becomes so important for sales, marketing, communications, and product development. What is going to happen is that business will start to socialize from the outside to in. And then, ultimately, from the inside out. It has to be able to accept that consumers and every day people are becoming powerful and they are becoming sort of smaller media outlets that deserve direct engagement, customized programs and campaigns. We have to see what people are saying and how that affects our marketing. What you realize is that when all these things work together you have a very sophisticated infrastructure for public relations, marketing and communications. Everything is working towards a common goal of changing perceptions. You’ve been talking about how important it is to go beyond quantitative research in social media. What are the main things that a qualitative research should reveal about social media? Research will tell you everything! When you define the parameters correctly, research will tell you where people are communicating to one another, around what key words, what is their impressions, what is their reach, what is that they find interesting, what is that they don’t like, what is that they are saying. For example, if this is what X amount of community believes, then how do we design marketing and communications strategies to change that, or reinforce that? How do we use customer service in order to design better response strategies? It is a very difficult process to embrace, because the information that comes out of it is so overwhelming. We realize that social media is much bigger than marketing or communications. It is about the socialization of the entire business, about what means to be socially aware. What used to be defines as “corporate social responsibility” or CSR; it starts to affect the purpose of any organization. One thing research tells us much more than numbers is the emotional touch point that individuals have. If these social media programs do not reach your emotional touch points, they are going to fail. So research becomes much more than data analysis and starts to reveal the people and what inspires them. How do you think PR will look like in 2-3 years from now on? I wrote a book, before “Engage,” called “Putting the Public Back in Public Relations.” I believe that PR 2.0 will really create this idea of public relations, and not media, or blogger relations. I believe public relations will look like a more sophisticated organization within any company, in the sense that it will not be responsible for creating and pushing messages, but it is going to be responsible for helping the rest of the organization to create communication strategies that reach individuals in ways that will really define perceptions and experiences. So it is not that much about this idea if getting press or blogs, but about connecting to the right individuals across the entire web, so that they are basically extensions of the public relations team. To me, public relations is going to be just public relations, insuring that the mission and story of any company is represented through the people they are trying to reach. I also believe that public relations is going to help businesses and brands to become the influencers that they had always sought in others. I believe that public relations will build very meaningful communication strategies and very meaningful presences on Facebook, Twitter, blogs, etc. and they are starting to create editorial, not just marketing. The future public relations improve connections, as well as the relationship between the brand and people. 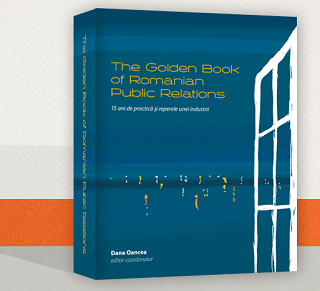 Would you like to leave a message for the PR practitioners in Romania? The message that I would like to leave is this: You are the people who are defining the future of public relations, marketing, as well as the overall business. And you are the individuals who basically define where all of this is going. And you cannot forget who you are when defining public relations, social media strategies moving forward! If something can’t connect to you, then it cannot connect to others. This is your moment in the evolution of public relations and communications, to make a difference, to make public relations count. It is much bigger than PR! It is actually the type of public relations that creates advocacy that creates trust that also works for you and the organizations that you represent in ways that are representative in the relationships that you were able to develop not just with reporters, but with every day people, who are becoming influential. So this is your time to determine where social media communications is unfold in something much more powerful and meaningful, as determined by humans. Brian Solis is principal of FutureWorks, an award-winning New Media agency in Silicon Valley. Brian is globally recognized for influencing the effects of emerging media on the convergence of marketing, communications, and publishing. Moreover, he coined the phrase "PR 2.0", and his last book, "Engage", talks about the end of business as it used to be in the traditional media era.